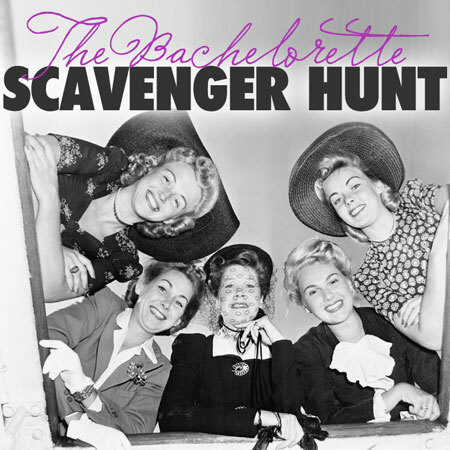 Among the many themes that can be adopted for a bachelorette party is the idea of holding a scavenger hunt – celebrating the last few days before the impending nuptials by hunting for treasure around town is a great way to see the bride-to-be off in style. However, scavenger hunts require a great deal of planning, and this includes deciding the rules for the hunt, the clues, the treasure items, the time duration for the hunt, and how you will be determining the final winner. To begin, decide what sort of hunt you want it to be. Among the types that you can choose from are list hunts, video or camera scavenger hunts, and trading hunts. All these types have their own pros and cons, so make sure you choose the one that you feel will be most suitable, and the one you can pull off in the best way possible. Once you’ve chosen the sort of hunt you will be holding, it is time to look for a meeting place, where the guests can assemble before and after the event. The scavenger hunt can be held pretty much anywhere – you can arrange it in the local neighbourhood, or even hold the event downtown. If you hold it in your neighbourhood, make sure you have a house with a yard space big enough to accommodate the guests and the refreshments, and if you hold it downtown, you will need an apartment or a rented space in a cafe or restaurant. Next, come up with the rules that will govern the scavenger hunt, and decide how you will be selecting the winner. Type out a list of the rules, and have this photocopied, so you can hand out copies to each team that will be participating in the hunt. Make sure you keep this list short, and concise – no one will have time much time for reading once the hunt commences. Now, draw up the tasks that the teams will be required to perform during the hunt. Since this is a bachelorette party, it can either be fun stuff you can do with the bride in her final days of being single, or it can be trivia related to the bride and groom themselves – e.g. you can have tasks associated with the place where the bride grew up, where the bride and groom first met (e.g. getting a napkin from the cafe where they had their first date), and so on. Once this is done, you will need to do a test run of the scavenger hunt, to make sure it is all smooth and that all the tasks can easily be completed during the set time (ideally, the time duration shouldn’t be longer than 90 minutes). Make sure you visit all the spots for the hunt yourself, to ensure that it is all ready for the party. After all this has been decided, it is time to send out the invites. Coordinate with the bride-to-be on the guest list, so you know who all she is interested in inviting – these should ideally be close friends and relatives. Make sure you mention the name of the event, the time, date, and venue on the invitations you send out. Finally, prepare the meeting place by purchasing all the supplies, decorations, and refreshments you will need for the party. These things should be acquired around a week before the event, so that there are no unforeseen set-backs - it is particularly important to order the cake for the party well in advance.